Honeywell 1202G-2USB-5 Voyager 1202g Wireless Single-Line Laser | Deal2deal Marketing Group Inc, The best source for best deals. Voyager 1202g incorporates a Bluetooth® Class 2, v2.1 radio, enabling unrestricted movement up to 33 feet (10 meters) from the base. Honeywell has also demonstrated Bluetooth® Class 2 communication ranges of up to 100 feet (30 meters) with a clear line of sight from the base. The 1202g offers users added safety and a wider range of movement by eliminating tethered cables. For added convenience, the included paging system helps locate misplaced scanners with visual and auditory signals. The field-removable battery can be exchanged quickly and easily, without the use of tools. The user-preferred, long-lasting Lithium ion battery provides 12 hours or more of scanning time and 45,000 scans per charge. The 1202g recharges quickly, resulting in increased throughput. 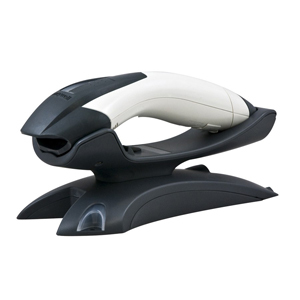 Built on the platform of the corded Voyager 1200g, the 1202g is optimized for scanning linear bar codes, including poorly printed and damaged codes. Voyager 1202g allows enterprises to minimize manual data entry, leading to increased productivity and reduction in errors. 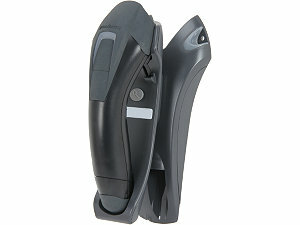 This plug and play scanner incorporates a multi-interface design with automatic interface detection. Voyager 1202g automatically configures itself to the appropriate interface, shortening the installation process. 1202g’s easy installation will benefit users in environments such as retail stores, hospitals, and light manufacturing facilities. The base can be desk or wall mounted to accommodate a variety of workstation layouts.